If you have water leaking outside over a window and the air conditioner is not running more than likely you have a safety float switch. A safety float switch is a device that shuts off the air conditioner when the emergency drain pan fills up with water. What is a safety float switch? A safety float switch is a device that is located in the emergency drain pan, the metal pan directly under the air conditioning evaporator coil. In most cases the primary condensate drain line is clogged up and water is draining out of the evaporator coil through the overflow plug. Why does this happen? This tends to happen when the air conditioning evaporator coil is dirty. The dirt and debris that collect on the evaporator coil start to get loose from the fins and eventually fall out. When it does fall out it goes in the drain and begins to settle, then more dirt debris come about and it begins to collect together. Also sometimes when the water is not draining out of the primary drain fast enough it builds up and starts coming out of the secondary. This could be due to many things, unit not level, improper or double P trap, partially clogged drain line, among other things. What can I do to repair it myself? Now what you need to do is cut the PVC pipe before and after the P-trap. Sometimes the P-trap clogs up as well. Then you blow it out with the air compressor both ways and the P-trap itself. Look for the sink that the air conditioner condensate drains into and cover it with a old towel. Close the drain so no water goes in or out. If this "repair" is works out for you great! But before you hit the back button leave a commit below. We would really appreciate it Thanks and good luck. 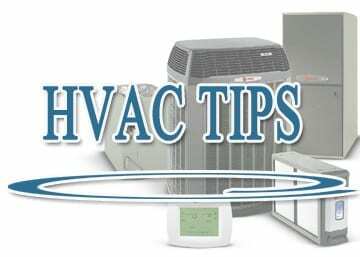 First make sure to turn off your ac breakers powering your ac condenser most often located on the wall by the outdoor ac condenser or heat pump condenser. Second you will need a water hose, and always remember once you have the water hose ready beginning by rinsing the ac condenser coil try to stay 4-10 inches away from condenser coil so that you don’t damage your ac condenser coil. Rinse off all sides until satisfied and restore power back . When buying ac filters it is always best to buy a pleated ac filter. Just make sure that the grooves are set apart and not bunched in and that it is a one month ac filter. In our practice we have learned that using the monthly ac filter will keep your ac coil clean. Make sure air filters are clean and that all supply-air and return-air grilles are open and unobstructed. Best place to start is at the vent that you know blows the hardest. If you have little air flow coming out of the vent then the next thing we check is the filters in each of your system components (where applicable). If any of your filters are dirty, consult your manual to clean or replace it. Or call us to do this for you. Imagine you have four old, worn-out tires on your car and you decide you only want to replace two of them. You can still drive your car, but you’ll soon be disappointed with the inconsistent handling and the poor mileage you get. The unmatched tires simply aren’t capable of the same level of performance. You could have these same kinds of problems with comfort and efficiency if the components of your central air conditioning or heat pump system are not properly matched. When a bargain’s not a bargain. If you don’t replace your indoor unit, you won’t be getting what you paid for. In fact, your system could be up to 15% less efficient than stated - and you’ll be less comfortable, too. That's why simply replacing just the outdoor unit isn't a bargain in the long run. Replacing the outdoor unit but leaving the old indoor unit may offer you the lowest price, but it won’t give you the best value. At best, when your air conditioning or heat pump components don’t match, you’ll be sacrificing comfort. The system may still "work," but it won’t perform up to the promised energy efficiency. Over time, this will also cost you more money. At worst, when the components aren’t matched, it could create undue stress on your cooling system, resulting in unnecessary, premature failure. Matched Systems Mean Maximum Satisfaction. When you consider the sacrifices and the added costs of repairing or replacing these unmatched units, installing a matched system the first time around makes good sense. You’ll get higher efficiencies, greater reliability and more comfort. And that’s a real bargain. 1• Disconnect all electrical power to the unit before removing access panels to perform maintenance. Please note that there may be more than one power connection switch. 2• Although Carrier takes special care to prevent sharp edges in the construction of our equipment, it’s best to be very careful when you handle parts or reach into units. CHECK THE AIR FILTER IN YOUR FURNACE OR FAN COIL EVERY 3 TO 4 WEEKS. A dirty filter will cause excessive strain on your furnace, air conditioner or heat pump. Replace your filter when necessary, or clean it if you have the reusable type. (If you have a reusable filter, make sure it’s completely dry before you re-install it.) The pre filter and collection cells of an electronic air cleaner should be cleaned at least two or three times per year. INSPECT YOUR FURNACE’S COMBUSTION AREA AND VENT SYSTEM BEFORE EACH HEATING SEASON. If you find dirt, soot or rust, your system may not operate properly or at its peak efficiency. Call your HVAC Company and do not operate your furnace until it is professionally inspected and/or repaired. HAVE OIL-FIRED BOILERS INSPECTED ANNUALLY. Call your HVAC Contractor dealer before each heating season to replace your oil filter cartridge and conduct a thorough inspection of the unit’s operation. Check the disconnect switches (indoor and outdoor if you have a split breaker system). Make sure that all circuit breakers are ON and that no fuses have tripped. Check in the main breaker panel of your home, most breaker panels are in the garage. Others maybe an outside panel located at the exterior of the home or inside a closet space. Now if the main breaker is not tripped, then we need to go out to the air conditioner unit outside. Once you see the air conditioner there should be a disconnect box located on the wall of the exterior of the home. Check and see if there is a breaker inside of the disconnect box, if there is one reset and turn on the unit. CAUTION: If this happens you need to stop and contact us! If when you try to reset the breaker and it automatically trips and you hear a burning sound snd a snap, you need to stop and contact us NOW! If you continue to do this you can further damage the unit and create an expensive repair. Make sure air filters are clean and that supply-air and return-air grilles are open and unobstructed. The first thing to check when the air conditioner or heater is not working is the thermostat. This is the most failed component in the air conditioning and heating industry. If you have a digital or programmable thermostat in your home or business, check the batteries in the thermostat. The batteries are supposed to be replaced at least once a year! If you want air conditioning in your home, make sure the temperature control selector is set below room temperature and the switch is on the COOL Position and the FAN switch is on the AUTO position. If you want heating, make sure the temperature control selector is set above room temperature and the switch is set to HEAT and the FAN switch is set to AUTO. In addition to the routine maintenance you perform, your home comfort system should be inspected at least once a year by a properly trained HVAC service Contractor. NEVER USE A PRESSURE WASHER TO CLEAN THE CONDENSER COIL. If you do use this tactic you will create more of a problem for your air conditioner than you are realizing. If the outdoor coil is dirty, use a water hose with at a regular pressure. To clean dirt that is deep in the condenser coil, Contact us at 972-530-1349 we can do this on the same day and teach you how to do it properly. Q: I need to replace my air conditioner, but my furnace works just fine. Is it true they need to be replaced at the same time? A: Think of your air conditioner and furnace as part of a total system. That system will work better, longer and more efficiently if all of its components are matched in capacity and efficiency. By the same token, a mismatched system—one that mixes old technology with new—could decrease system performance and overall comfort. For example, your new air conditioner will be capable of reaching a certain SEER efficiency rating. Because SEER is determined by a complete system combination, if your existing furnace and indoor coil are older or don't match in efficiency and capacity, you might not get the efficiency level you paid for or be able to receive accurate information on what your rating actually is. Plus, an older indoor coil may even be dirty and clogged with particles, meaning more energy will be required to push air through the system. Q: I thought pollution was outside. Why should I be worried about my indoor air? Q: My children have allergies. Is there a way to improve the quality of air inside my home? Q: How can I control my energy costs? A: Controlling energy costs starts with your thermostat. You can save about three percent of your heating costs for every degree you lower your thermostat during the winter. And for every degree you raise your thermostat in the summer, you can cut cooling costs up to six percent. * Adding a programmable thermostat can also help you save energy, by allowing you to set different temperature settings depending on the time of day. Air conditioners: SEER ratings of 13 or higher. Furnaces: AFUE ratings of 80 or higher. Heat pumps: HSPF ratings of 7 or higher. Select Trane Heating & Air Conditioning air conditioners, furnaces and heat pumps have ratings of up to 20.0SEER, 96.7AFUE and 9.2HSPF, respectively. Having a matched system at home will also help. Every component in a matched system is designed to be matched in capacity and efficiency. That way you can enjoy the highest system efficiency possible. Lastly, if you're shopping for a new heating and air conditioning system, consider a high-efficiency variable-speed system. Variable-speed means your system varies its speed depending on your home's heating and cooling requirements. It makes sure you get the amount of heating or cooling you need without wasting energy. Contact your local independent American Standard Heating & Air Conditioning dealer for more energy-saving hints. *Potential energy savings may vary depending on your personal lifestyle, system settings, equipment maintenance, local climate, actual construction and installation of equipment and duct system. One of the first things an American Standard Heating & Air Conditioning dealer will do is conduct a complete energy analysis of your home. By measuring windows and checking insulation, ductwork and building materials, and reviewing a variety of other factors, he can determine the right size system and equipment for your home. He'll even ask you questions about your existing comfort challenges, and make recommendations. Find a dealer near you. Is the ductwork installed and in good condition? Do you need a thermostat or electronic air cleaner? when do I need to replace it? There’s also an ongoing cost factor to consider. Restoring your old Air Conditioning system will only bring it back to its current level of energy efficiency. After you’ve recovered from the air conditioning repair bills and the frustration of HVAC system breakdowns, you still won’t save on your energy bills. Even six-year-old AC Heat Pumps and Air Conditioners are considered grossly inefficient by today’s energy efficiency standards. So are most HVAC Furnaces built before 1980. So you could save up to 60% on your energy bills with new high-efficiency HVAC equipment . That’s why installing a new heating and cooling system can actually pay for itself in energy savings within a relatively short time. When one component of your system breaks down unexpectedly, it’s easy to just focus on repairing or replacing that component. But each part of your system works with the others to boost efficiency and reliability, so it helps to keep the big picture in mind. Replacing your old furnace with a new higher-efficiency model but leaving your old mechanical thermostat in place, for example, won’t allow you to enjoy all the efficiency advantages the furnace has to offer. Likewise, if you install a new furnace but don’t get a humidifier, the air will seem cooler, forcing you to operate your new system at a higher temperature to be comfortable. Plus, you can often save on installation costs if you have several components of your system (for example, a furnace and an air conditioner) replaced at the same time. Since most of us spend the majority of our time indoors, it makes sense to have an indoor environment that’s healthy and comfortable. What kind of system do I need to keep my home comfortable? While your home may have unique needs, the best way to insure your comfort and health is to have your heating and cooling system provide the right balance of heating, air conditioning, air cleaning and humidification. No other single system plays a larger part in how much you enjoy your time at home ... or in how much you pay out to utility companies each month. For most of us, comfort starts with keeping our home the right temperature, whether that’s toasty warm on bone-chilling winter nights or pleasantly cool in the "Hot days" of summer. Maintaining the perfect temperature is the job of your heating and cooling equipment. THERMOSTATS help your heating and cooling equipment maintain the optimal temperature setting with the utmost energy efficiency. Today’s electronic models are a vast departure from earlier mechanical styles. Microprocessors allow you to program your home temperatures to suit your lifestyle, so you can keep things comfortable while you’re home and automatically set back your temperatures to save energy when you’re away or sleeping. That keeps you comfortable all the way to the bank. Today’s "tighter" homes are built to be more energy-efficient, and many seal in air as effectively as they keep the weather out. That may sound good at first, but it also means that air quickly gets stale. Plus, dust and other pollutants circulate throughout your home, settling on furniture, drapes, your heating and cooling equipment or, worse yet, your lungs. Today’s mechanical and high-efficiency electronic AIR CLEANERS offer trouble-free, low-maintenance cleaning that will remove up to 95% of all airborne particles and make your home environment healthier and more comfortable. A ventilating system can provide up to eight air changes a day and eliminate the unhealthy build-up of gases and contaminants in your home. It’s literally a breath of fresh air. Winter takes its toll on your indoor environment. The warm, dry air from your furnace or heat pump can damage wood moldings and furniture and sap your skin of its natural moisture. It even makes you feel colder because your body senses heat as a combination of temperature and humidity. If you add humidity with a HUMIDIFIER, you can actually set your thermostat a few degrees lower. You’ll feel just as warm, but you’ll notice the difference on your utility bills! Plus, you’ll replenish much-needed moisture to your home, making it a healthier, more comfortable place to spend your time. Wouldn’t it be great if you could turn off heating and cooling in a room the same way you can a light switch? You wouldn’t have to waste energy by heating or cooling a room you’re not using. A ZONING SYSTEM is the perfect solution. By putting heating and cooling where you need it most, zoning can enhance your overall comfort and reduce your energy costs by as much as 30%! No matter what climate you live in, you’ll find the best combination of comfort and energy savings with a complete indoor comfort system. Today’s energy-efficient components work together to give you precise temperature control, healthy air and the right level of humidity and the savings on your utility bill might just make you the most comfortable of all.